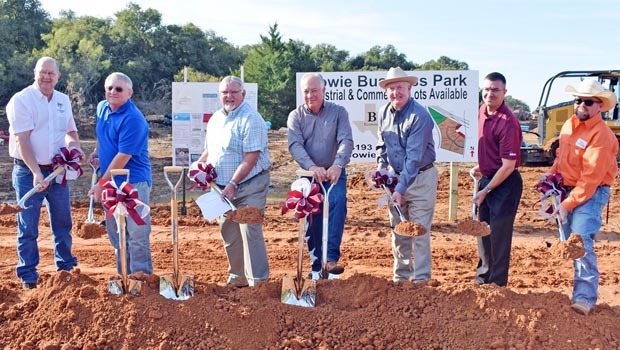 At the Sept. 21 meeting of the board, the BEDC signed a contract with Wilson Contracting to build infrastructure in the park located along U.S. Highway 287 and Farm-to-Market Road 1125. In August the board accepted a low bid from the Wichita Falls company at a cost of $2,258,866.15. The project will install an eight-inch concrete road in the park and all utilities, which will be located underground. It is the culmination of two years of planning for the park, which is scheduled for completion in February, barring any weather delays. BEDC officials are excited to have a potential new toll in their arsenal to attract and develop business and jobs for Bowie.